The way in which a labour and employment dispute is resolved in Switzerland depends essentially on whether (1) the employment relationship is governed by private law or public law, and (2) the dispute arises from an individual employment relationship (individual dispute) or from a collective labour agreement between employers or employer organisations and trade unions (collective dispute). This chapter focuses mainly on individual disputes with private employers, which are governed by federal laws to a large extent and, therefore, harmonised at country level. On the other hand, disputes concerning public sector employment relationships are governed by a variety of communal, cantonal and federal laws, depending on the public body involved. Although the two kinds of employment relationships were treated in a very different manner by the courts in the past, nowadays we are witnessing a growing rapprochement between the two statutory systems, which is reflected in the similarity of the disputes and in the procedures used to resolve them. More specifically, the freedom of contract that characterises Swiss private employment law has been increasingly eroded for social protection reasons (e.g., through the introduction of minimum wages in certain regions and for certain professions), while at the same time the public employment relationships tend to be more flexible and less protective for the employee (e.g., by abolishing the status of civil servant and through the introduction of terminable employment agreements). Also, with respect to the resolution of the related disputes, the two types of employment relationships are becoming more similar, for instance through the increasing use (including in the public sector) of consensual termination agreements. The Swiss Code of Obligations (CO), the Federal Labour Act and the Swiss Code of Civil Procedure constitute the main sources of legislation for private labour and employment disputes. The Federal Act Governing the General Applicability of Collective Labour Agreements, the Federal Data Protection Act, the Federal Act on Gender Equality, and the Federal Act on Information and Consultation of Employees represent additional significant sources. Depending on the specific circumstances of the individual case, a number of other laws, ordinances or regulatory provisions may play an important part in labour and employment disputes, such as the Federal Act on Private International Law, the Federal Merger Act and the Federal Act on Foreigners. The fairly liberal character of Swiss private employment law is reflected in the CO, which contains – in addition to certain mandatory provisions and other semi-mandatory provisions that may not be waived to the detriment of the employee – a variety of discretionary provisions, thus providing enough scope for tailor-made solutions. The CO regulates individual employment contracts, collective employment contracts and those known as standard employment contracts, which are federal or cantonal enactments regulating working conditions for certain specific professions. The Federal Labour Act, on the other hand, lays down rules on health protection, working hours and rest periods. In general, Swiss law appears to be well balanced in terms of the rights and duties of employers and employees; when compared with other jurisdictions, however, the system is fairly liberal, for example with respect to the possibility of terminating an employment relationship. It is not a coincidence that, unlike some of its neighbouring countries, strikes are very rare in Switzerland, although the right to strike is expressly provided for in the Federal Constitution. The 'peace at work' that we are still experiencing is concomitant with the long tradition of avoiding industrial conflicts through negotiation. In 2011, a unified civil procedural code (CPC) was introduced in Switzerland with the aim of ensuring a uniform application of substantive civil law throughout the country. As a general rule, a civil litigation has to be preceded by a conciliation attempt before a conciliation authority. Although the parties may, with mutual consent, waive the conciliation proceedings in favour of disputes with a litigious value of at least 100,000 Swiss francs, this is seldom the case, especially in employment law litigation, which generally appears to be well suited to conciliation, both because of the personal involvement of the parties (as well as on an emotional level) and because of the fact that evidence is often based on documents (without the need for expert opinions or a long discovery phase). An application for conciliation triggers pendency. The conciliation hearing, at which the parties (with few exceptions) have to appear in person, must take place within two months of the date on which the application was received by the conciliation authority. If the parties fail to reach an agreement during the conciliation proceedings, the conciliation authority grants an 'authorisation to proceed', allowing the claimant to file the action in court within three months. Conciliation proceedings usually last between a few weeks and a few months. As regards substantive proceedings, the CPC provides for simplified proceedings in disputes with a litigious value of up to 30,000 Swiss francs. Other than ordinary proceedings, which apply when the litigious value is higher, the court shall establish the facts ex officio and no court costs are charged to the parties, unless a party has proceeded in bad faith or wantonly. Compared to ordinary proceedings, simplified proceedings are more oral-oriented, faster and provide for a certain ease of pleading given a more active role of the court. First instance proceedings typically last from one to three years depending on the circumstances of the case and the type of proceeding (simplified or ordinary) applying to it. The organisation of the conciliation authorities and of the civil courts is not governed by federal law and differs from canton to canton; it is also subject to local needs and resources. Claims arising from an employment relationship must be filed with a district court, except in certain cantons that have established specialised employment courts. Appeals against first instance decisions are normally brought to the ordinary cantonal courts of appeal and afterwards to the Swiss Federal Supreme Court. The claim must be written in the official language (German, French, Italian or Romansh) of the canton in which the claim is filed. 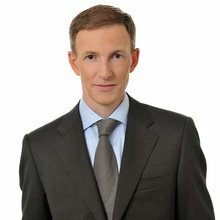 Class actions are not permitted under Swiss civil law and, consequently, claims must be filed by individuals, although there are some particular situations in which multiple parties are allowed to act jointly. Disputes between the parties of collective labour agreements are typically resolved by conciliation offices – usually at cantonal level or occasionally at federal level, if the dispute extends beyond the territory of a canton – or by arbitral bodies. Employment disputes may arise for a number of reasons. Typical disputes in this context mainly involve termination (e.g., abusive termination, unjustified immediate termination, termination agreements and settlement agreements), salaries and rewards, certificates of employment, discrimination and protection of the employee's personality. because the other party performs compulsory Swiss military, civil defence or a legal duty that is not voluntarily assumed. Moreover, the notice of termination of an employment relationship by the employer is deemed abusive if it is given (1) because the employee belongs or does not belong to an employees' organisation, or lawfully exercises a union activity, (2) during the period the employee is an elected employee representative in a company institution, and the employer cannot prove a justified motive for the termination, or (3) in connection with a mass dismissal without prior consultation of the employees (see Article 336 CO). A termination with immediate effect without good cause entitles the employee to a claim for damages in the amount he or she would have earned if the employment relationship had been terminated observing the notice period or on expiry of its agreed fixed duration. In addition, the employer may be ordered to pay the employee an indemnity determined at the discretion of the court, taking into account all circumstances of the case. However, the indemnity may not exceed the equivalent of the employee's salary for six months. On the other hand, if the employee, without a valid reason, does not appear at the workplace or leaves it without notice, the employer shall be entitled to a claim for compensation equal to one quarter of the employee's wage for one month; moreover, the employer shall be entitled to compensation for additional damages. Disputes about remuneration aspects of an employment relationship are quite frequent, in particular in connection with bonuses. On this specific subject there is a rich and constantly evolving case law, a particular bonus being a form of remuneration that is not expressly foreseen in the CO but is becoming increasingly common. Remuneration disputes often concern a number of other particular situations, such as on-call work, or arise in connection with other claims by the employee, such as the right to refuse to work owing to inaction or omission by the employer. The issuance of certificates of employment often gives rise to legal disputes. The employee may request from the employer – at any time – a certificate concerning the nature and the duration of the employment relationship, his or her performance and his or her conduct (known as a qualified work certificate). In principle, the certificate of employment should promote the employee's professional career and should therefore be written in a benevolent manner. However, benevolence finds a limit in the duty of completeness and of telling the truth. These two principles do not always coincide, giving rise to disputes between employees and employers. The courts are also frequently faced with disputes concerning the protection of the employee's personality. The employer shall respect and protect the employee's personality, having due regard to the employee's health and care for the preservation of morality. In particular, the employer shall ensure that the employee is not sexually harassed and that victims of sexual harassment are not further disadvantaged. This new decision by the Swiss Federal Supreme Court suggests a need to carefully consider the wording of agreements relating to the termination of an employment relationship, in particular of those agreements entered into after a notice of termination has been served. In addition, the appropriateness and equivalence of the reciprocal waivers should be carefully considered. In 2017, the Swiss Federal Supreme Court was faced with a case8 of an employment agreement that defined the type of employment as 'part-time on demand (20–30%)' and stated that 'the working level and specific tasks will be agreed upon on a weekly and monthly basis with the companies' management board'. According to the unanimous view of the parties, the claimant would have deputised for the head of a certain department if that head of department was not available. However, this situation never arose. As a consequence, the parties were disputing the legal qualification of the contract entered into as well as on the pecuniary claim asserted by the claimant for his alleged standby duty. In the light of this recent case law, special attention should be given to ensuring a proper drafting of the conditions within employment agreements regarding work on demand. Depending on the circumstances, in particular in situations where an employer may unilaterally call in an employee for extra duty, a salary may be due even if that employee has not performed any working activity, simply because the employee has made himself or herself available to work (standby time). The Swiss Federal Supreme Court has judged a case concerning a lawsuit brought by an employer against a former employee for the reimbursement of a loan.12 Among other things, the employee claimed to have offset the amount of the loan against other amounts that the employer allegedly owed him on the basis of the employment relationship, in particular pretending an indemnity was due for an unjustified immediate termination of the employment relationship. The employer had given notice of termination because the employee, after a short period of illness, had not returned to work even though the employer had urged him to do so. The employee argued that his absence was justified by the employer's delay in paying him various amounts. However, if the employer's default does not concern a salary clearly due, but only benefits that are questionable and challenged, the employee may not refuse to work.14 In the light of this jurisprudence, to the extent that an employee's salary claim is disputed or its enforceability cannot be easily demonstrated, it would appear that an employee should give some careful thought to the matter before refusing to work. In a case brought before the Swiss Federal Supreme Court, an employee asked, inter alia, for the amendment of her certificate of employment. The employee in question, who was hired on 1 March 2014, was absent from work because of either maternity leave or illness from 30 April to 1 October 2014, from 2 July to 31 August 2015 and from 12 November 2015 to 31 May 2016. The employment relationship ended on 31 August 2016. The employer has indicated in the work certificate the absence, its duration and the reasons (maternity/illness). The employee took the view that the reasons for her absence (i.e., maternity/illness) should be deleted from the certificate of employment. She essentially argued that the statement 'illness' in a certificate of employment is detrimental – and therefore contrary to the benevolence principle – and gives rise to speculation as to the reasons for the illness. The indication 'maternity' should also be deleted, in particular because all information relating to the private sphere of the employee's life and not relevant to the future employment relationship does not need to be disclosed. In the specific case before the Swiss Federal Supreme Court, the absences amounted to almost half the duration of the employment relationship. Since the total length of the work interruptions was undoubtedly significant in relation to the overall length of the employment, the absences need to be mentioned in the certificate of employment.17 The principle of completeness and the duty of clarity also require the reasons for absence to be listed, which, in the case at issue, were maternity and illness.18 Stating the reasons for absence allows less room for speculation. In fact, a potential employer will ask about the reasons for the absence if they are not stated on the certificate of employment. The drafting of certificates of employment is a difficult task for employers, who have to take into account certain principles (of benevolence and of truth or completeness), which are not always converging. In this sense, the new jurisprudence of the Swiss Federal Supreme Court certainly provides useful indications for the employer. No significant changes to procedure that may affect employment disputes and their resolution are foreseen or expected to be announced during the next 12 months. In more general terms, the performance of work that is not directly rooted within an employer organisation (such as the Uber model) has been a recent focus of attention for the general public on an international scale, not only in Switzerland. All the players affected (authorities, social insurers and interest representatives) are trying to cope with the opportunities offered by new technology. For the labour market to continue to operate fairly, references to the new means of making work available need to be incorporated within the existing legal framework in a proper way, without hindering the inexorable march of change. Among the currently known forms of the gig economy are 'crowd work' and 'work on demand via app', in which the demand and supply for work activities are brought together online or through the use of apps. The greatest advantage of these is the flexibility of employment opportunities, which reduces personnel costs for employers and gives employees more freedom. The main risk is the loss of legal protection for the worker. We expect major changes during the next few years to the way employment relationships are managed and, as a consequence, significant changes in the way employment disputes are resolved. In particular, we believe that the (already very thin) line between work-related and non-work-related activities will finally vanish. 1 Davide Jermini is a partner and Alex Domeniconi is an associate at Walder Wyss Ltd.
2 Swiss Federal Supreme Court, Judgments 4A_13/2018 and 4A_17/2018. 8 Swiss Federal Supreme Court, Judgment 4A_334/2017. 12 Swiss Federal Supreme Court, Judgment 4A_45/2018. 15 Swiss Federal Supreme Court, Judgment 8C_134/2018, consid. 5.2.3. 19 The list of relevant occupation types can be found online at www.arbeit.swiss/secoalv/en/home/menue/unternehmen/stellenmeldepflicht/tool.html. 20 See SME Portal for small and medium-sized enterprises of the Swiss Confederation: https://www.kmu.admin.ch/kmu/en/home/concrete-know-how/personnel/employment-law/registration-requirement.html. The politics of immigration continue to dominate headlines worldwide and immigration practitioners, wherever they live, face a constant stream of political scrutiny, policy development and legislative change. Welcome to the second edition of The Healthcare Law Review. The Review provides an introduction to healthcare economies and their legal frameworks in 17 jurisdictions, with new contributions from Japan, Korea and Finland. These new chapters, together with updates to the jurisdictions previously covered in the first edition, only serve to emphasise that this is a constantly changing environment. While hugely diverse, it is possible to discern common challenges and similar approaches in very different countries. Gambling law is an apt topic for such an analysis for a number of reasons. First, compared with some legal disciplines (such as financial regulation, digital copyright, competition or telecoms law) gambling has a very long history and deep roots in human culture and legislation. The Sports Law Review is intended as a practical, business-focused legal guide for all relevant stakeholder groups in the area of sports, including sports business entities, sports federations, sports clubs and athletes. Its goal is to provide an analysis of recent developments and their effects on the sports law sector in 18 jurisdictions. It will serve as a guidebook for practitioners as to how a selected range of legal topics is dealt with under various national laws. Executive remuneration encompasses a diverse range of practices and is consequently influenced by many different areas of the law, including tax, employment, securities and other aspects of corporate law. We have structured this book with the intention of providing readers with an overview of these areas of law as they relate to the field of executive remuneration. We hope that readers find the following discussion of the various tax, statutory, regulatory and supervisory rules and authorities instructive. The overriding theme of the last 12 months is that of continuing regulatory change in the private wealth arena. A sense of increasing pace and convergence in particular stand out in comparison with earlier years. The pace component is best seen in the introduction of new regimes or the updating of existing rules. The theme of convergence is based upon how centrally significant the concept of ‘beneficial ownership’ is becoming to many of the initiatives. A third strand is an increasing divergence between the European Union and the United States in this arena: the European Union continues to force the pace on transparency, while the United States proceeds at a much more leisurely speed and gives greater weight to privacy concerns than its European neighbours. 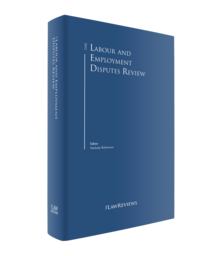 For the past nine years, we have surveyed milestones and significant events in the international employment law space to update and publish The Employment Law Review. This tenth edition is proof of the continuously growing importance of international employment law. As the various editions of this book have highlighted, changes to the laws of many jurisdictions over the past several years emphasise why we continue to consolidate and review this text to provide readers with an up-to-date reference guide.